Apart from September happening (EEEEP) it's been an average week. I'm struggling a bit with school, but I guess that's normal. I finished Gossip Girl series 2 and am still watching Arrow series 4, and I've been reading & writing a lot this weekend too. I had hoped to finish the first draft of my WIP on the 8th of September (that makes it a month since I started it) but I doubt that'll happen. I'm only just halfway through the book, and since I'm handwriting it it takes longer. I bought Scarlet about a year about, but couldn't start it until I'd found a copy of Cinder. Well...I read Cinder two months ago and loved it. And GOSH AM I LOVING SCARLET TOO. I got There's Someone Inside Your House for review, but unfortunately it's a proof ARC so it doesn't have this amazing cover :( I am SO disappointed! But I'm hoping to buy a nice cover edition when it's been published. How was your week? Have you watched any awesome movies? What are you currently reading? Nice! 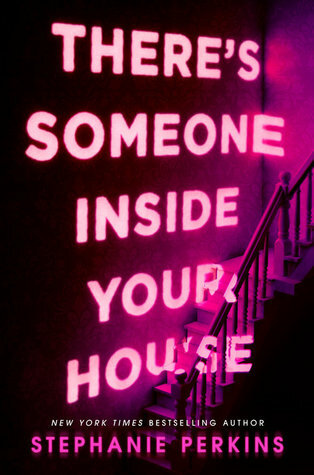 It's still exciting that you got an ARC of There's Someone Inside Your House! Really looking forward to that one myself! Hope you enjoy the new reads! Thanks for sharing my review of Summoner! You're the best, Amy! I'm part of the blog tour for Cold Malice too so I'm happy to hear you're enjoying it so far. I'm hoping to start it this week. That's too bad about There's Somebody Inside Your House's proof cover. That's always the worst when it happens, but I hope you enjoy the book. Have a great week! Oh yay can't wait to see your post too, then!! Yeah it is :( But thanks! I hope so too. Me: Innocently reading this post. 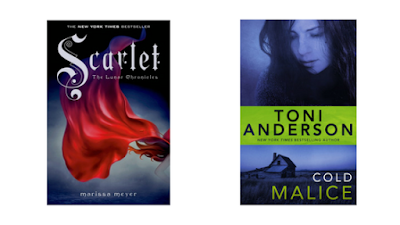 Post: "Zoey shares her Most Anticipated September Books." Also, it's so awesome that you're writing! I've been in a writing block for a very very very very very loooooooooooooooong time now. Do you have any tips for me? I feel so bad when I don't write. Tips...just write, I guess. It's so hard to get yourself sitting in that chair and actually getting words out, but when you do you feel so much better. Hope the block ends soon <3 They're the worst. So glad to hear that you are enjoying Scarlet so far. I've read Cinder and Scarlet and loved them both, but haven't gotten to check out Cress and Winter yet. I own them both but haven't found time for them yet. Thanks Julie :) So happy you loved those too! I'm so happy to hear that you're enjoying Scarlet. I just finished Cress this summer and can't wait to get my hands on Winter. Such a wonderful series. Haha and tiring ;) Lol. Hopefully things pick up with school and you work things out! School is hard. 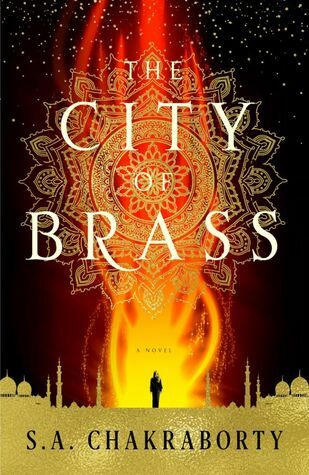 :D I can't wait to read The City of Brass! I won an ARC but it never arrived... rude. I really want it too. I may need to bug the publicist (again). :D I hope you enjoy your new books! It is :( Thanks Alyssa. That's....horrible :( :( And so weird! I'm so sorry about that. Hope your bugging works out ;) Lol. Please don't feel like this nomination is a MUST. Just participate if you like, and don't if you don't want to! Also; I'm sorry if you already were nominated once.